"I love love Dr. Julie Vu." "I LOVED Dr. Vu! !It was my first time seeing her." "Love Shelly and Julie Vu they are very personally and care about you." " I only waited 5 minutes! I love Dr. Vu and the staff there!" 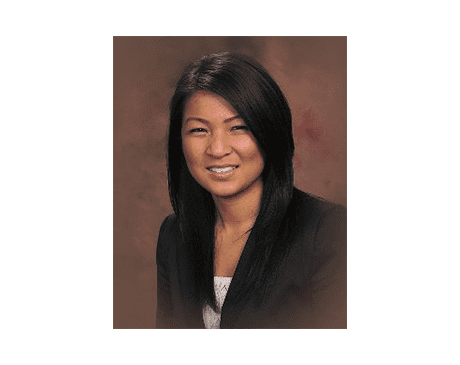 Julie K. Vu, MD, FACOG, is a board-certified obstetrician and gynecologist who has been in practice since 2009. At North Texas OB/GYN in Plano, Texas, Dr. Vu offers comprehensive gynecological and obstetric services to women from communities throughout the Dallas-Fort Worth metropolitan region. In addition to providing routine preventive care like cancer screenings, Dr. Vu has significant experience diagnosing and addressing a variety of health conditions, including pregnancy-related disorders, perimenopause, menopause, and postmenopause, urinary incontinence, ovarian cysts, and Pap smear abnormalities. She’s known for her expertise and caring bedside manner, which patients say makes them feel more comfortable during annual exams and routine check-ups. Dr. Vu obtained her medical degree from the University of Kansas Medical Center in Kansas City, Kansas, which is where she completed her residency. She's affiliated with Medical Center Plano and Baylor, Scott and White, Frisco. Dr. Vu speaks Vietnamese as a second language and is an avid runner who has participated in the New York City marathon. She's currently accepting new patients. "Since meeting Dr. Vu and seeing the quality care, expertise and excellent bedside manner that she and all of her staff exhibits it has allowed me to overcome my fear..."
"Shelli and Dr Vu are the very best!!! I love love them both and have never worked with a better team then them." "Dr. Vu and her staff are by far the friendliest and most helpful medical professionals I've ever had the pleasure of seeing!"